No Longer Available. 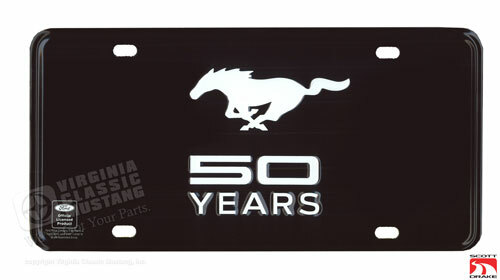 Celebrate 50 Years of the Ford Mustang with this officially licensed metal license plate. Black plate with raised white letters and running horse.